Key Difference: The term ‘aerobic’ can be vaguely translated to “requiring air”, while ‘anaerobic’ can be translated to “living without air”. The terms aerobic and anaerobic can refer to many things: exercise, respiration, digestion and even the organism. 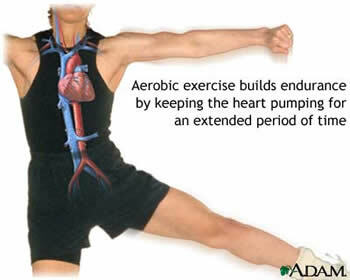 These terms are most commonly used to refer to exercises and aerobic is also used to refer to a type of floor exercise. In order to understand these terms fully, we must look at the two terms separately. The term ‘aerobic’ can be vaguely translated to “requiring air”, while ‘anaerobic’ can be translated to “living without air”. The air in both of these translations refers to oxygen. Using this definition, it is safe to assume that the terms are relatively the opposite of each other. All ‘aerobic’ functions require the presence of oxygen. Let’s use it define the organism first. An ‘aerobic’ organism is an organism that requires an oxygenated environment to survive and grow. The ‘anaerobic’ organism does not rely on oxygen to sustain and grow, but rather survives without oxygen. Some cells may also die when exposed to oxygen. ‘Aerobic’ respiration is the process of cellular respiration that requires oxygen in order to process and break down food into energy. Cells use oxygen as a catalyst in order to break down food and acquire necessary nutrients from it. ‘Anaerobic’ respiration refers to the process of cellular respiration that does not use oxygen to function, but rather an inorganic acceptor such as sulfate or nitrate. Certain cells in our body resort to this process, when oxygen is not easily available to produce energy. Now, we come to exercises: aerobic exercises and anaerobic exercises. Aerobic exercises are low endurance exercises that require copious amounts of oxygen. The cells in our body use oxygen to produce energy. This energy is then exerted during the exercises. Anaerobic exercises are intense exercises that trigger lactic acid formation. These exercises can only be done for a short time before the person experiences tiredness or fatigue and lack of breath. 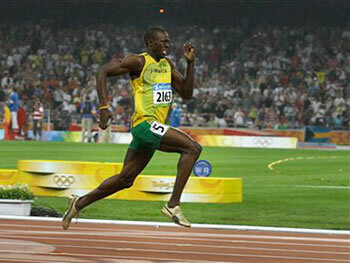 Anaerobic exercises are used in endurance sports, where greater performance is required short duration (i.e. track). In short, anything related to the term ‘aerobic’ refers to using oxygen, while ‘anaerobic’ means without oxygen. From Ancient Greek ἀήρ (aēr, “air”) + βίος (bios, “life”) +‎ -ic. Aerobic is anything that requires oxygen. Anaerobic is anything that does not require oxygen. A living thing with an oxygen-based metabolism. Any organism whose redox metabolism does not depend on free oxygen. The aerobic process of cellular respiration where cells use oxygen to produce energy. Respiration in the absence of oxygen, using some other molecule as the final electron acceptor. Exercises that use relative low to medium exertion and can be sustained over long periods of time. Intense exercise that triggers lactic acid formation. It is used in non-endurance sports where a spurt of energy is required.